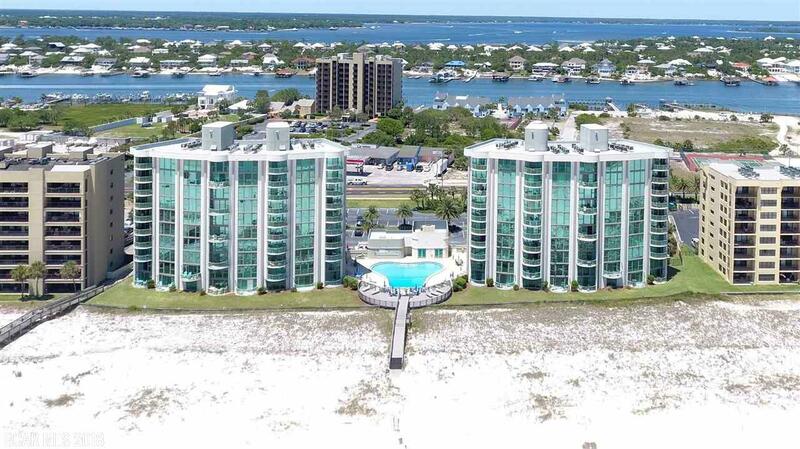 Perdido Key Florida condo for sale at Perdido Towers. Beautiful beachfront town-home at Perdido Towers with private side entrance and community boating facility! This 2 BR / 2.5 BA tastefully decorated residence features an incredible two story wall of windows allowing natural lighting to flow thru both levels of this unique floor-plan. Upgrades include new HVAC replaced within last 18 months(both inside and roof top units) and carrier thermostat with WiFi app for convenience, 3 TVs and all mattresses are less than 1 year old. Perdido towers owners and guests enjoy tons of amenities including gulf-front pool, tennis courts, fitness room, picnic area and owner lounge. Boaters will love the well-maintained boat dock (first-come, first-serve) with fish cleaning station plus boat launch and secure boat storage. This is a perfect set up for rental potential! Management and strong HOA – come see this one!